Very exciting news this morning for scholars and other interested fans of Robert Rauschenberg: today SFMOMA releases the Rauschenberg Research Project, an extensive online resource on the artist that offers an array of research and documentation relating to Rauschenberg works in our collection. Materials include newly commissioned essays, interview footage, artist’s statements, conservation reports and archival materials, and more than five hundred images, many with viewable, zoomable detail. This is the largest research effort the museum has ever devoted to a single artist—if it was a book, it would be six hundred pages. An excellent place to get lost this morning. The project is part of the Getty Foundation’s Online Scholarly Catalogue Initiative (OSCI), a program that involves a group of nine museums working together to create new models for scholarly collection catalogues online. 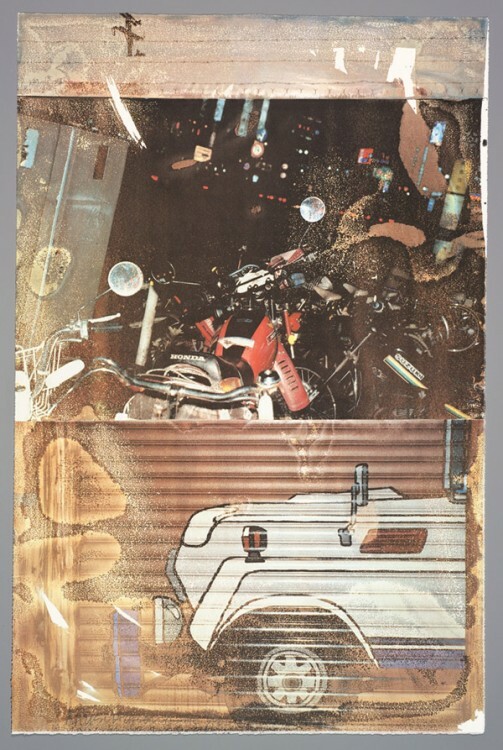 SFMOMA’s online catalogue on Robert Rauschenberg joins already released catalogues by Tate Gallery and the Art Institute of Chicago (preview; final version coming in 2014) in giving readers a fuller sense of the possibilities that digital publishing offers. SFMOMA has one of the foremost collections of Robert Rauschenberg’s artwork, with holdings comprising more than eighty individual Combines, sculptures, paintings, photographs, prints, and other works on paper made over the course of the artist’s career. Explore works by the artist and the entire research project here. Official press release is here.